Megachile Leaf-cutter bee is an extraordinary species. Although in appearance similar to the Honey Bee, this bee has a completely different lifestyle, most notably – the leaf-cutter bees lead solitary lives and don’t form hives. As their name suggests, these bees “cut” and then carefully sticks them together, using saliva, thus forming complex nests. Leaf-cutter bees appear similar to honey bees, although a tad darker in colouration. These bees, however, don’t form hives and are completely independent. The female constructs a nests in tree cavities and various gaps, sometimes even on the ground. These nests have a complex structure of many tunnels and compartments for the larvae. 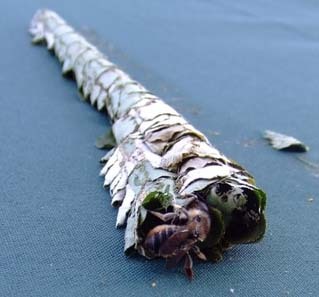 Leaf-cutter bees have incredible construction skills – they skillfully choose the best leaf “material” for their nests and glue it with their saliva, resulting in a sturdy being built. The favourite material for these bees is rose leaves and flowers. Like other bees, this species feed on nectar and pollen. 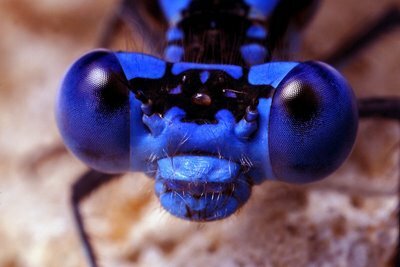 Their diet is diverse, consisting of the nectar of roses, clover, sage and other flowers. Leaf-cutter bees are also very active and often visit as many as 25 flowers per minute. They’re also helpful for these flowers, as they pollinate the flowers they visit. Some of the pollen gathered is brought back to the nest to feed the larvae. Leaf-cutter bees construct many cells in the nests, to which they bring nectar and pollen, afterwards laying a single egg in the cell and closing it up. The amount of food in a cell is enough for the larvae to fully develop until hatching, which occurs a year later. These bees only live up to 2 months, thus nests are made during this time. Fertilized eggs spawn females, while the unfertilized ones spawn females. Because of the short lifespan, most of the female’s life is spent building nests, while males only live to fertilize the eggs and die soon after doing that. 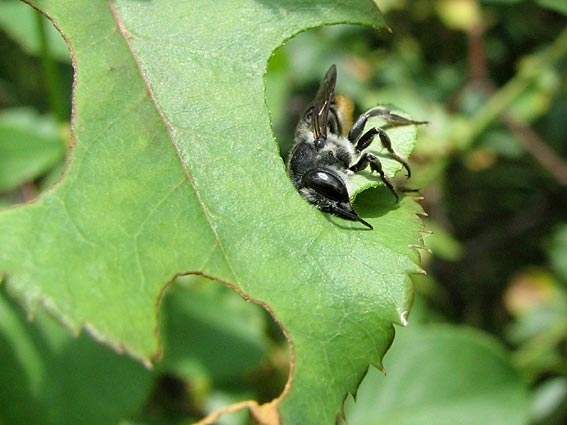 Leaf-cutter bees are found throughout Europe and North America, although they tend to avoid high-mountain regions and some subspecies can also be found in Africa. These bees are valuable helpers to any flowers, because pollen travels from flower to flower much quicker with the help of bees, rather than by the wind only. 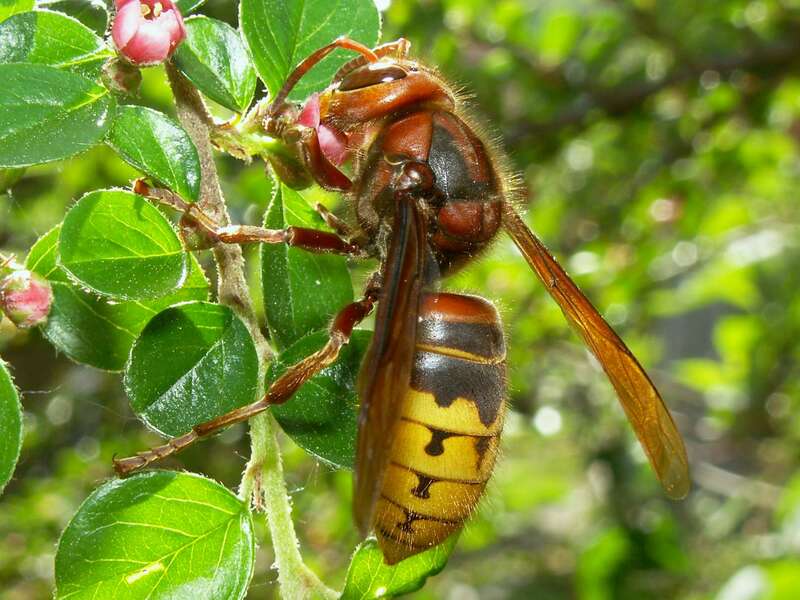 Despite this, many flower growers tend to exterminate leaf-cutter bees, as they damage rose groves, using their leaves as a material for building nests. Most people wouldn’t tell the difference between leaf-cutter bees and honey bees until they see the former cut leaves with their sharp scissor-like jaws. Bees are often praised for their diligence and this bee is no exception – they spend their lives building nests and pollinating flowers.